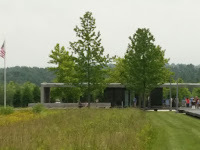 Flight 93 Memorial is located outside of Stoystown, PA. East of Pittsburgh in a farming community. The memorial park was dedicated on September 10th, 2011. When you enter the park the road is winding and the countryside is beautiful. Once we were parked and started walking to the wall...there was a peacefulness that is so hard to explain. 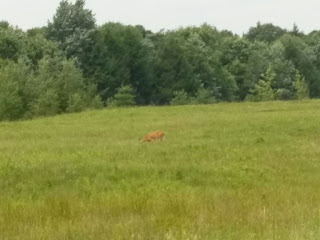 As we walked there was a deer eating grass not disturbed by the many visitors present. Everyone was quiet and calm - even my 6 year old grandson felt the peacefulness. They took the plane back from the terrorist and they saved American lives by preventing the plane from reaching our capital WASHINGTON DC. American Heroes that gave it all to save others. Since my visit to Flight 93 I often wonder would I have the courage it took to do what they did? I hope I would of. 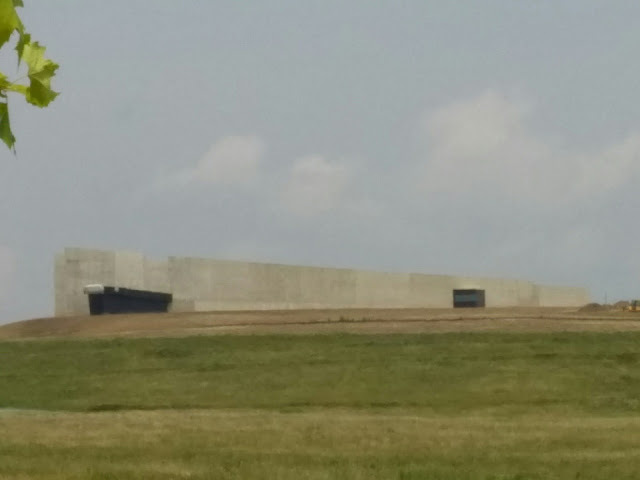 On September 10th, 2015 the new Flight 93 Learning Center located at the crash site will have it's grand opening. A center dedicated to the 911 Attacks. I never even realized they had a memorial there. How lovely. I visited the one inside the Pentagon in April and it was very moving. What a beautiful memorial. 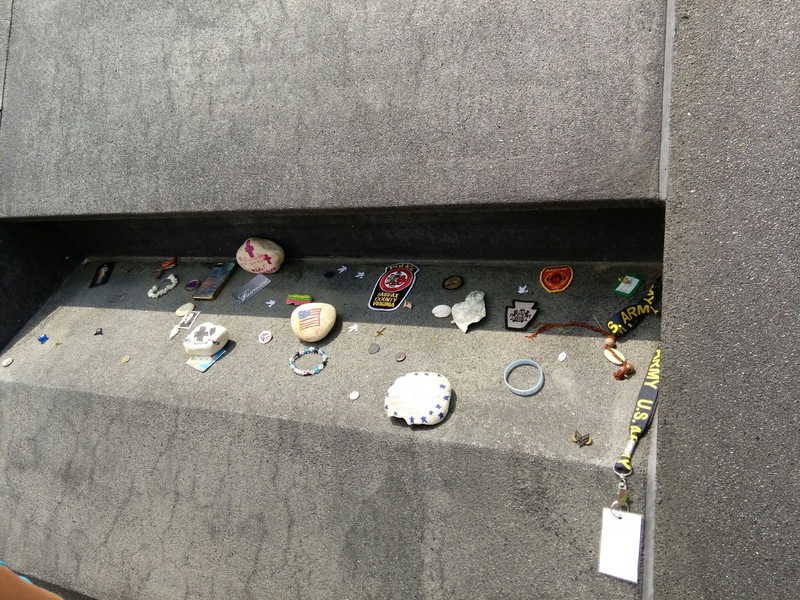 I know visiting 9/11 was hearth wrenching so I'm sure this was to.I hope to get here one day. The events of that day still shake me to my core. It truly is the day American changed. What an honor to visit. Oh my goodness. This chokes me up. It looks like a beautiful place to visit. I didn't realize there was a memorial there. I'm sure it's a very sobering, emotional experience to visit. What a beautiful way to honour those lives that were given to protect the capital. I remember that day vividly. This is the time of year I dread actually as a New Yorker who worked in a hospital during 9/11 that took casualties I try to block this all out, it's just too much to constantly look back on that nightmare day. There are so many who lost their lives, lost their loved ones. I refuse to visit the memorial here, I am glad they are there, but I don't want to visit it, does that make sense? I'm glad visiting the flight 93 memorial brought you a moment of stillness and reflection, they should most certainly all be remembered. Thanks for sharing this, I think many people forget about this flight as it was away from the others. Such a sad time. It's coming up and on everyone's minds too. I'm glad they have a memorial. I can imagine that it was very sobering and touching to be able to visit that memorial. It was a very sad day for America. Wow, I'm sure visiting this memorial was an inspiring experience. So many heroes died that day. I need to make it to this memorial some day. It looks peaceful and very respectfully done. I had no idea they had a flight 93 memorial. I think it's wonderful. Everyone who lost their lives that day should be remembered. 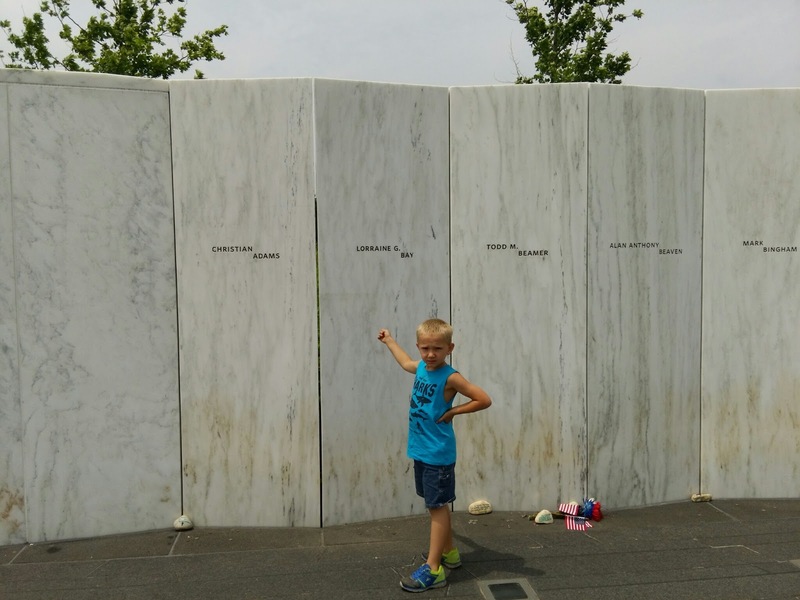 I've been to the Memorial in NYC but never in PA. I'm embarrassed to say I didn't know they had one, but I'm glad they do. I'd like to go someday. I think this is a wonderful memorial. If it hadn't been for the brave people who stood up to those hijackers it might have been even more horrible than it was. I was not aware there was a memorial where the Flight 93 went down. I cannot imagine how moving it must have been to see it in person. I did hear there was a memorial. I would like to visit. I can not believe it has almost been fourteen years since the world as we knew it changed. It is always nice to see that so many people truly will never forget. Of course I know all about this flight, however every time I read about it I get chills. So sad and not fair. I had no idea that this memorial existed. What a great way to pay honor and remembrance. 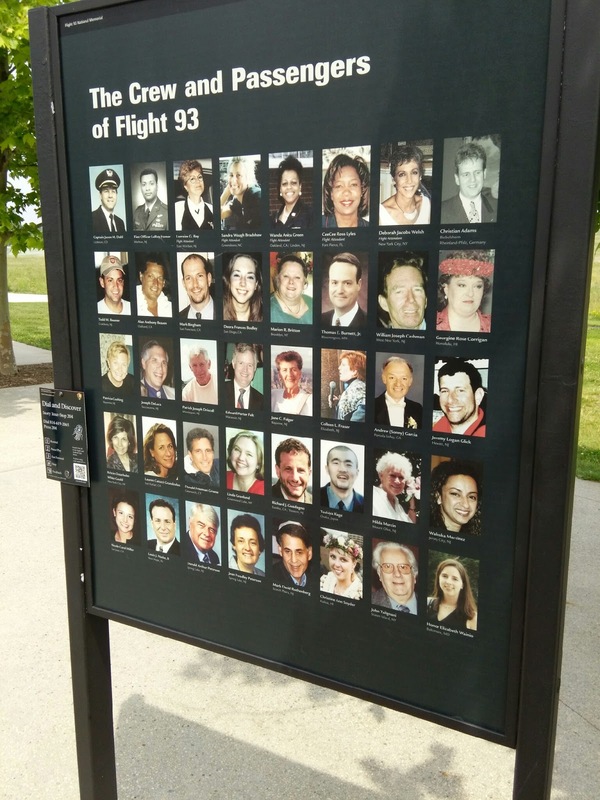 I honestly had no idea there was a memory in place for Flight 93. I definitely would love to visit. A day I'll never forget, for sure. Such a powerful message. I will never forget this and hope that one day i can visit this memorial. I vividly remember 9/11 and watching the news coverage. I think being able to see the memorials would be a very moving experience. I have seen the Twin Towers memorial, but haven't had an opportunity to visit the Flight 93 memorial yet. I am in awe of the events still. Wow, looks like such an incredible memorial. I really want to visit! I have not been to visit this memorial. It is so close to my home. Perhaps it would be a good trip and a good lesson for my children. I'm glad there's a monument to those brave souls who lost their lives but saved so many more! I had no idea about this memorial, but I'm glad they have created a beautiful place dedicated on September 10th, 2011. What a beautiful memorial and you described it so well... even the deer. Thank you for sharing your photos and experience. You dont hear as much about the second crash sight. Im glad they made a memorial for them. What a very nice memorial. I remember, I was in bed recovering from surgery when the towers went down. I've heard of the memorial but never saw pictures before. I'm really glad they made a nice memorial there. That's a nice memorial. That was such a life changing event. I didn't know there was a memorial there. It is a day no one can forget that is for sure.